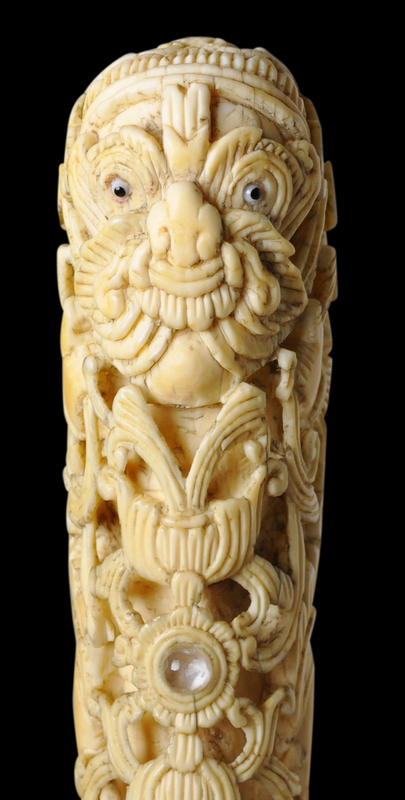 This dha or sword hilt has been carved from a single piece of ivory. The entire carved section of the hilt is made up of a bearded ogre peering through pierced foliage. The ogre has two glass beads for eyes. A clear glass cabochon is inset into the front of the hilt, and a red cabochon has been inset to the back. Such insetting of glass or other materials in unusual. The hilt has a curved line which matches the natural flow of the ivory tusk. 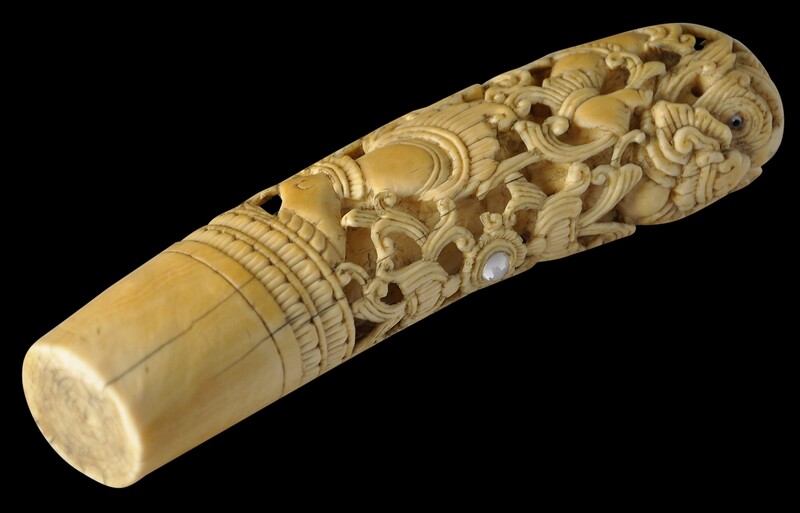 According to Fraser-Lu (1994, p. 114), although some ivory in 19th century Burma was imported from India and Africa, most local ivory carvers preferred to work with local ivory from the Shan states which was regarded has having a waxier consistency and was this easier to carve. There are minor losses to the carving here and there. Overall, the hilt has a fine, yellow patina. The base has not been drilled to allow the insertion of a blade tang.